I read these as a kid, but they’re just as good as an adult! Funny, it’s a very old edition of the book!- but the cover really captures the feeling of the story so well! The first three in this series have been amazing to reread- they go so fast but are so much fun! Sounds like a fascinating series. I like the book’s cover, and the opening makes me wonder where she’s going and why. Funny, I hunted for the cover on my edition for this post- it’s an old paperback from the early 80’s. I did like it better than some of the newer versions I saw they had put out, though. I like the sounds of the beginning… is it a choose your own kind of book? 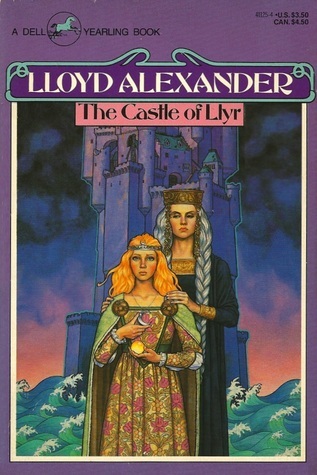 It’s the third in the Chronicles of Prydain- it’s the first one to be more focused on the Princess, which he makes very clear in that opening.